Teachers are the backbones of our future. There are lots of people who have an aim in life to be a teacher. A teaching job in Assam has a demand among the graduates and postgraduates. In Assam, there are many vacancies in schools and colleges. Applying for the existing vacancies of teachers following the notifications you can become a teacher. For a teaching job in Assam, you should have certificates of some extra degree and diplomae. I have discussed the eligibility criteria along with other educational qualification for each category of the teaching job. 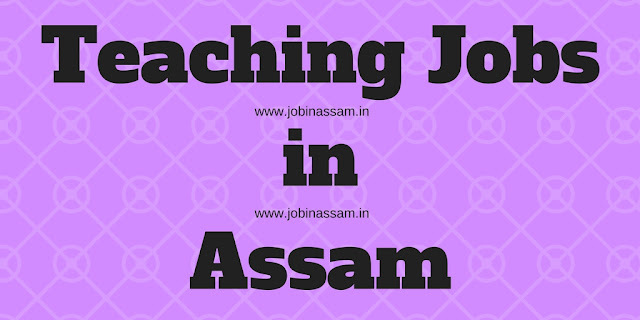 Click here for the list of Teaching Jobs in Assam 2018. Here are the notifications of the latest Teaching Jobs in Assam along with other jobs. You can apply for any job below as per your qualification.